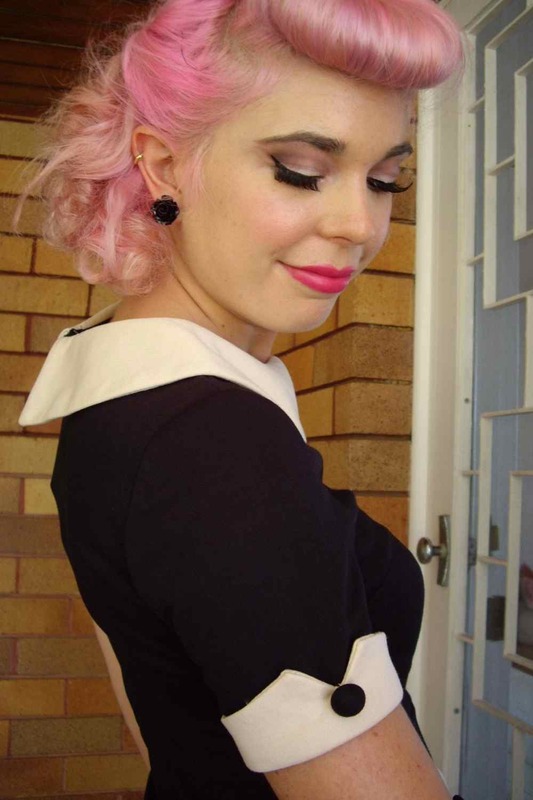 Classic Jackie "O" Style dress easy to wear a perfect pinup office style dress MAD MEN inspired ! 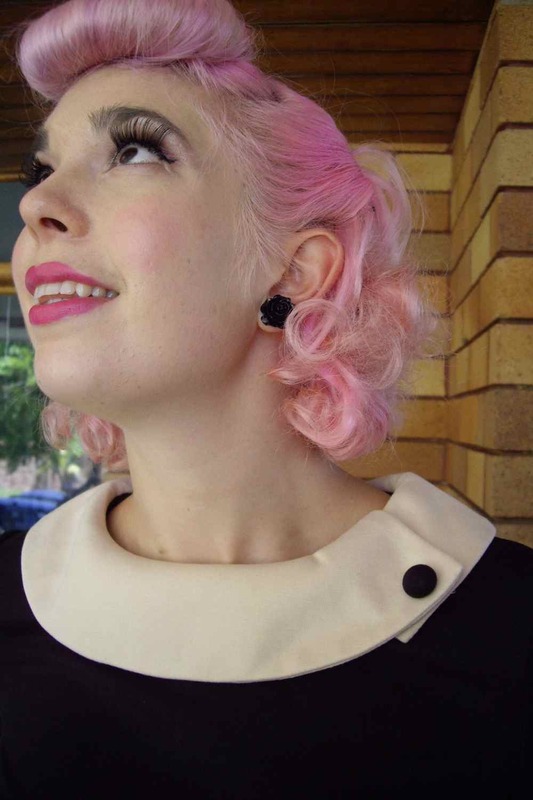 a cheeky secretary look,designed to create an hourglass figure .Classic Vintage styling ,fifties inspired pencil/wiggle dress cream collar with ,cuffs and pocket flaps and decorative buttons. Black with cream trim . Stretch knit fabric hidden back zip . This dress is a UK SIZING, size 10 in this dress will typically fit a AUSTRALIA SIZE 8 an indication to SIZE UP when ordering. This is a fun affordable dress . The Cutest Hair Bows Ever!! 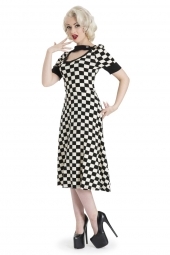 Girly And Sweet They Are A Great ..
Classic One Piece Polka Dot Black/ White. Dangerous Dames Wi ..
Ladies ! 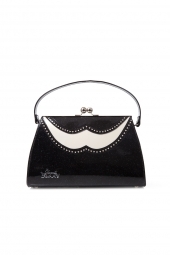 A Dress That Is Absolutely Eye Catching This Is Mus ..
BROGUE - BLACK GLITTER Rockabilly Handbag In Black Glitter & ..